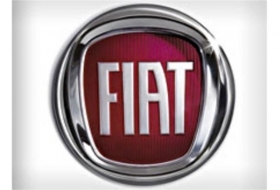 MILAN (Bloomberg) -- Fiat S.p.A., the Italian carmaker that owns 20 percent of Chrysler Group LLC, may boost the holding to more than 50 percent before a planned initial public offering by the U.S. carmaker this year. Fiat obtained a 20 percent stake as part of Auburn Hills-based Chrysler's bankruptcy reorganization in 2009. It can get 15 percent more when Chrysler makes a small engine in the U.S., meets sales objectives outside of North America and sells a domestically made car in the U.S. that gets 40 mpg (5.9 liters per 100km). Marchionne said last month that he is considering repaying U.S. and Canadian government loans before 2013, which could allow Fiat to exercise an option to increase its ownership by 16 percent. The CEO spoke at the Milan exchange today as Fiat Industrial S.p.A., the truck and tractor company that was spun off from Fiat, began trading. The spinoff, announced on April 21, is the biggest reorganization in Turin-based Fiat's 111-year history and would allow Marchionne to focus on carmaker and foster future alliances. Fiat Industrial, whose main assets are Iveco and CNH Global NV, opened at 9 euros and traded at 8.87 euros as of 9:47 CET. Fiat, whose remaining operations include carmaking and the Ferrari and Maserati luxury brands, traded at 7.25 euros. That implies the two stocks combined were valued at 16.12 euros, or 4.5 percent more than old Fiat's closing price on Dec. 30. Marchionne said today that there is currently no plan to merge Fiat and Chrysler. “A legal merger is not going to change our life,” he said, reiterating that a Chrysler IPO may take place in the second half of this year.